Cocoa is an important agricultural product in the global economy. World production for the 2013/2014 season was forecast to top over 4.3 million tonnes with the export of beans and semi-processed products valued at over US $5 billion. The demand for cocoa has risen three times faster than population growth over the last 15 years and industry forecasts predict a 20% growth over the next decade. In 2014/2015, 4.2 million metric tonnes of cocoa with an approximate value of US$ 12 billion was produced worldwide. 73% of global productions were grown in West Africa, 17% in South and Central America and 10% in Asia. The eight largest producer countries were Ivory Coast (42% of world production), Ghana (18%), Indonesia (8%), Ecuador (6%), Cameroon (5%), Brazil (4%), Nigeria (4%) and Peru (2%). Global cocoa production decreased by 217,000 tonnes in the 2015/2016 cocoa season, to 4.031 million tonnes, a decline of 5% compared to the previous season. At the regional level, production is estimated to have fallen in Africa by 124,000 tonnes (or almost 4%) to 2.949 million tonnes and in the Americas, by 120,000 tonnes (almost 16%) to 655,000 tonnes. On the other hand, cocoa output in Asia and Oceania increased by 28,000 tonnes (almost 7%) to 428,000 tonnes. In terms of its share of total world production, Africa remains by far the largest cocoa producing region, accounting for 73% of world cocoa output in 2015/2016. The shares of the Americas and of the Asia and Oceania regions are 16% and 11% respectively. During the 2015/2016 season, Ivory Coast’s production fell to 1.581 million tonnes, significantly below the previous season’s level. Compared to the 2014/2015 season, the main crop increased slightly by 0.3% to 1.261 million tonnes, although the mid-crop dropped significantly by 40% to almost 320,000 tonnes. While the main crop is reported to have reached a historic high, the mid-crop, on the other hand, has generally suffered from the vagaries of the weather. According to the ICCO’s projections, cocoa output for Ivory Coast is expected to reach at least 1.900 million tonnes in 2016/2017 compared to 1.581 million tonnes recorded in the previous season. The ICCO further surmises that although the main crop witnessed a slow start, at the time these projections were made, reports by one mainstream news agency for cumulative season cocoa arrivals to ports in Ivory Coast indicate that cocoa arrivals reached 1,351,000 tonnes by 12 March 2017 as compared to 1,258,000 tonnes in the same period for the previous year. ICCO’s Quarterly Bulletin of Cocoa Statistics also forecasts that the cocoa market is bracing itself for a significant supply surplus, of around 264,000 tonnes whiles world cocoa bean production is also expected to increase by almost 15% to 4.552 million tonnes. In February 2017, cocoa prices averaged US$2,034 per tonne, down by US$162 compared to the average of the previous month (US$2,196), and ranged between US$1,935 and US$2,142 per tonne. However, analysts polled by Reuters have indicated that cocoa prices should regain some ground by the end of 2017 following a prolonged slide fueled by expectations for a global surplus in the current 2016/2017 season. Moody's has also flagged the potential for growth in world cocoa consumption, given that per capita demand in China and India, at about 0.1 kilogrammes a year, is a fraction of the 4.7 kilogrammes seen in western Europe, including 9.2 kilogrammes in Switzerland. According to the ratings agency, this indicates further potential for cocoa production to meet growing demand over time as those markets are likely to deepen. Moody’s has further surmised that, although still possible, depressed prices were unlikely to persist over many years since the growing demand from the developing world is likely to provide support to a recovery in prices over the long term. The Ghana Cocoa Board established in 1947 has had a long history of overseeing the cocoa sector of Ghana. COCOBOD serves as the exclusive marketing intermediary between primary producers and processors of cocoa beans in Ghana. Since Ghana’s cocoa industry became established, COCOBOD has undergone various transformations. However, its modern constitution and mandate reflects the modern trends in the industry especially in the light of Ghana’s socio-economic and political aspirations. Reforms carried out beginning from the 1980s through 1990s to present have restructured COCOBOD significantly. There was the Cocoa Sector Rehabilitation Project funded by the World Bank which included reducing COCOBOD in size by restructuring and re-organising some of the subsidiaries to enhance the share of farmers in the earnings from cocoa exports. COCOBOD’s efforts to ensure quality, traceability, and social responsibility have awarded Ghanaian cocoa a 4%-6% price premium on the international market. Currently, COCOBOD is a relatively slimmer organisation with five main subsidiaries including the Quality Control Company and the Cocoa Marketing Company which both play lead roles in addressing the overall organizational goal of exporting premium and high-quality cocoa. COCOBOD regulates the activities of Ghana’s cocoa sector and also maintains functionally strong linkages with the critical actors especially its subsidiaries, the Licensed Buying Companies, the Cocoa Research Institute of Ghana, the Cocoa Swollen Shoot Virus Disease Control Unit (CSSVDCU) and the Seed Production Unit (SPU). The purchasing of cocoa and its evacuation from the cocoa villages is a daunting task which has implications for the political economy of the crop. The role of the LBCs in tackling this task determines to a large extent the success of reaching the global market with Ghana’s cocoa. The largest Licensed Buying Company, the Produce Buying Company (PBC) used to be a subsidiary of the COCOBOD. It used to enjoy monopoly in the purchasing of all cocoa produced by the farmers. However, the reforms which began in the 1990s came with the deregulation of the cocoa sector and liberalized cocoa purchases. In June 1993, COCOBOD adopted the multiple cocoa purchasing system for internal marketing of the commodity as a means of introducing competition. The legal framework for this was spelt out in the “Regulations and Guidelines for the Privatisation of the Internal Marketing of Cocoa”. The decision to adopt the multiple buying system was really a major step in the reformation of the cocoa sector which was at that time being buffeted by certain challenges making it slide down in competitiveness. The reforms were carried out with one of the goals being the restructuring of the key public institutions in the cocoa sector like COCOBOD and its subsidiaries including the PBC. The reforms continued with the enlistment of the PBC on the Ghana Stock Exchange with the public coming in to purchase shares of the company. Currently, the Ghana Government only holds about 37% share of PBC. The Social Security and National Insurance Trust (SSNIT) holds 38% of the shares and others comprising institutions and individuals hold 25%. Currently, 27 LBCs buy cocoa from producers however the number has varied and not all LBCs have been active. Although a large number of them buy cocoa now, a small number account for the bulk of the cocoa procured. Between 2001/2002 and 2009/2010, eleven of the 27 LBCs accounted for 96.4% of the cocoa delivered to the Cocoa Marketing Company. The top three LBCs (PBC, Akuafo Adamfo Marketing Co. Ltd, and Olam Ghana Ltd) delivered more than half of the cocoa beans over the same nine year period. Eighteen years into licensed buying and competition, PBC is still the dominant buyer, holding nearly 35% of the market share of a growing market. As far back as the 1960s, there was an effort to process cocoa before export. The West Africa Mills Company (WAMCO) was established by private initiatives to process cocoa beans into cocoa paste, cocoa butter and other products. However, the share of the total processed cocoa in the total cocoa exported was minimal. With one of the major national goals being exporting at least 50% of cocoa as processed, the role of cocoa processing companies have become very important. Currently, there are about five large processing companies operating in the country all at various levels of processing. These are the Cocoa Processing Company (CPC), Barry Callebaut, Afrotropics, Cargill and Archer Daniels Midland (which has been acquired by Olam). There is primary processing into the pastes, butter and nibs and there is secondary processing into confectioneries and chocolates. The Cocoa Processing Company (CPC) which used to be a subsidiary of COCOBOD but became privatized with the reformation of the industry currently operates with an expanded installed capacity producing chocolates and cocoa-based sweets and other products for exports and local consumption. The CPC used to be the only manufacturer of chocolate products on the Ghanaian market, until Niche Cocoa also launched its locally manufactured chocolate products in February 2017. Making them the only 2 local manufacturers of chocolate products on a medium scale level (though there are other companies who are producing chocolates on a much smaller scale). Currently, the total installed capacity for processing cocoa is a little above 400,000 metric tonnes, giving the indication that the country is on the right path to achieving its medium term policy goal of processing 50% of its cocoa before export. More recent processing companies to be established are Plot Industries, Niche Cocoa and Touton Ghana. Ghana is the world’s second largest cocoa producer, the country has a strong position on the world market for standard cocoa with a market share of an estimated 20%. During the 2015/2016 harvesting season the country produced approximately 800,000 metric tonnes of cocoa, which was 20% of the total world harvest. Until a couple of years ago, cocoa generated around a third of Ghana’s export earnings. This share decreased due to the start of oil production. In 2014, cocoa was the third largest export product with a share of 20% (US$ 2.6 billion) in total exports (US$ 13.2 billion). The marketing year for cocoa begins in October, when harvest of the “main crop” begins, followed by the harvest of a smaller “light crop” in July. Light-crop beans are smaller than the main-crop variety, but are identical in quality and grown on the same trees. The main crop accounts for 90% of total annual cocoa bean production in Ghana, and the light crop accounts for the remaining 10%. ICCO projects that total output for Ghana is anticipated to reach around 850,000 tonnes in 2016/2017. Declared purchases as at 23 February, 2017 were reported at 657,000 tonnes; this compares against 661,000 tonnes recorded for the same period of the previous season (down by 0.5%). However, the ICCO noted that, favourable weather conditions were expected to benefit the coming mid-crop. Cumulative cocoa bean purchases by the Ghana Cocoa Board in the 2015/2016 season reached 778,000 tonnes, representing an increase of around 38,000 tonnes compared to the previous season. Although production fell short of the Government’s estimated target, it exceeded the low level of the previous season. For the 2016/2017 season, the Government announced an increase of the guaranteed price paid to cocoa farmers to GH¢7,600 per tonne (US$1,914 - based on the exchange rate at the start of the season). As at 22nd October, 2016, cocoa purchases in Ghana, as reported by news agencies, reached approximately 200,000 tonnes. The total export earnings from cocoa has been increasing since the mid-2000s. Apart from a dip between 2006 and 2007, there has been steady increase from 2007 consistently up to 2010 when Ghana earned approximately US$ 2.285 billion from total cocoa exports, which contributed 28.9% of the country’s total foreign exchange earnings. It had also been the stated policy goal of Ghana to achieving total cocoa production of 1 million tonnes, and in 2011, Ghana was said to have achieved that target. Cocoa beans shipped to overseas destinations during 2013/2014 crop year totaled 721,222 tonnes. The FOB value of the beans shipped amounted to GHC 4,498,546,215 (US$ 1,405,795,692). Currently, Ghana exports its cocoa mainly to Western Europe which accounts for about 67.6%. The main importing countries are The Netherlands (33.8%), U.K. (12.1%), Belgium (8.9%) and Germany (3.6%). Outside of Europe, Ghana exports to Japan (7.2%) and U.S. (3.3%). Cocoa production in Ghana was and is a major contributor to the tax income of the government. There are approximately 800,000 cocoa farmers in Ghana. Cocoa is grown on an estimated 1.9 million hectares. The cocoa industry employs about 60% of the total labor force of the agriculture sector, most cocoa farmers are smallholders who harvest cocoa on 2 to 3 hectares with a yield of on average 400 kg/ha. Including families of farmers, employees of trading companies and input services, the cocoa sector provides income for more than 1 million Ghanaians. The cocoa sector is one of Ghana’s economic backbones. Ghana is not only the second largest producer of cocoa in the world, but it produces the world’s highest quality cocoa. The cash crop accounts for about 9% of Ghana’s GDP and makes up about one-third of the country’s export revenues, totaling over US$ 1.5 billion. Additionally, cocoa is an important tool to guarantee the liquidity of the Ghanaian government. The government issues every year a bond which is secured by the predicted income from selling the cocoa of the next harvest. Potential investors know that due to the forward cocoa selling system the bond is a low risk investment. The Ghanaian government pays for the bond at much lower interest rates than it would have to pay for a bank loan. Ghana’s cocoa processing is expanding at an impressive rate. According to Oxford Business Group, Ghana’s processing activities have increased by 69.1% to 225,000 tonnes during the last five seasons. However, although Ghana accounts for 20% of the $9 billion global cocoa bean market, it is estimated that less than 30% of the country’s cocoa beans grown are locally processed. This means that Ghana captures only 5% of the US$ 28 billion global intermediate cocoa processing industry and only an insignificant share of the global final consumer market of US$ 87 billion. Meanwhile, the global chocolate industry alone is also valued at an estimated US$ 110 billion dollars, but remarkably, Ghana exports over 80% of cocoa in its raw state. There has been a downward revision to estimates for world grindings of cocoa beans for the 2015/2016 cocoa year to 4.141 million tonnes (down by 19,000 tonnes compared to the position three months ago). This reduction results mainly from the sharp fall in the level of processing activities in Côte d’Ivoire, down to 492,000 tonnes (a reduction by 18,000 tonnes compared to the earlier forecast), in Ghana, down to 202,000 tonnes (a reduction by almost 9,000 tonnes) as well as in The United States, where processing activities were 12,000 tonnes lower than previously expected, at 398,000 tonnes. Conversely, grindings are now estimated to be higher in Indonesia by 13,000 tonnes to 383,000 tonnes. Despite the reduction in grinding for the 2015/2016 season, cocoa prices bounced off 10-year lows on April 21 2017 after demand data out of North America and Asia showed signs of a slight recovery, North American cocoa processors reported a 1.2% increase in beans processed during the first quarter of 2017 from a year earlier, the highest first-quarter tonnage since 2015. The 120,152 tonnes of cocoa beans processed by North American factories in the first quarter of 2017 was also an increase over the previous quarter when 117,588 tonnes of beans were processed. The Cocoa Association of Asia reported grindings on April 20 2017 at 177,450 tonnes, a 19% increase over the same quarter in 2016. Overall, grindings are forecast to slightly increase by almost 3% to 4.242 million tonnes. If realized, this would increase the total statistical stocks of cocoa beans as at the end of the 2016/2017 cocoa year from 1.401 million tonnes to 1.665 million tonnes, equivalent to 39.3% of projected annual grindings for the 2016/2017 season, according to the ICCO. China, India, and Brazil are emerging cocoa markets as recent years have given way to more disposable income. Chocolate products are becoming more popular in these countries. India is the fastest growing market for chocolate, at a rate of 17% since 2010 compared to a 9% growth rate in China. Lastly, in Brazil, by 2020, the premium chocolate market is projected to reach 26%. Consumption processor grindings serve as the key metric for market analysis of bulk cocoa beans and is the last phase in which demand and supply can be equitably compared. The Netherlands is the largest processor of cocoa beans, undertaking approximately 13% of world grindings, followed closely by Côte d’Ivoire, then the United States of America, Germany, Indonesia, Malaysia, Brazil and Ghana. These 8 countries process 70% of all cocoa beans. OLAM, Cargill, and Barry Callebaut are the three dominant global grinders. The global cocoa processing market is valued at US $16 billion. Value addition has been a long-standing national goal in enhancing earnings from the cocoa industry in Ghana. The current goal in Ghana is to achieve a 50% processed cocoa as a proportion of the exported. Considering the contributions to the total value of exports, the percentage of cocoa export earnings accounted for by processed cocoa beans has risen markedly since 2004, from a little over 10% in 2004 to nearly 40% in 2010. While the proportion of export earnings attributable to locally processed cocoa averaged 25% from 2007 to 2011, ranging from a low of 10% in 2006/2007 to a high of 36% in 2008/2009 and 23% in 2011/2012. There has been a consistent increase in value addition with the percentage processed cocoa increasing from 16.09% in 2007, to 21.38% in 2008, and to 31.19% in 2009 and then to 37.66% in 2010. It appears that this trend will continue as Ghana strengthens its efforts in attaining the goal of 50% processed cocoa exports. Cocoa beans are first processed into intermediate products, such as liquor, butter, cake, and powder. Between the 2009/2010 season and the 2012/2013 season, Ghana processed 32% of its cocoa bean production. Liquor constitutes the largest portion of the processed cocoa products and is either exported “as is” or compressed to produce butter, cake, and powder before being exported, mainly to Europe. Processed intermediate cocoa products are in high demand worldwide, especially in America and Europe, where demand for cocoa reached 2.5 million tonnes per year. The top 5 value added products exported from Ghana comprises cocoa paste and cocoa butter at the very top of the ranking with US$ 539.1 million and US$ 127.1 million in 2010 respectively. The percentage increases of these values compared to the preceding year of 88.68% and 40.80% illustrate the growing significance of cocoa manufacturing economic activities in Ghana and the importance of this in the overall manufacturing activities. This is a positive development and the trend is likely to remain positive. Ghana’s value chain is therefore confined to the intermediate processing with the grinding of nibs into cocoa paste which increased by 340% compared to cocoa butter exports which increased by 190% over the same period in 2010. Within this, however, there are substantial differences in the prices of individual intermediates, with cocoa butter earning the highest premium and cocoa powder tending to be less valuable than cocoa beans on a per-tonne basis, as the demand for cocoa powder is lower than that for butter or liquor. Germany and the United States are the largest importers of cocoa butter. The United States – by a significant margin – is the largest importer of cocoa powder (and accordingly, the largest producer of cocoa complementary products). Germany, France and the Netherlands are the largest importers of cocoa paste. The ICCO Quarterly Bulletin of Cocoa Statistics forecasts cocoa grinding in Ghana to increase from 202,000 tonnes in 2015/1016 to 210,000 tonnes in 2016/2017. Local processors in Ghana include Barry Callebaut, Cocoa Processing Company Limited, Niche Cocoa Industries Limited, Plot Enterprise, Cargill (Ghana) Limited, ADM/Olam, BD Associates and Real Products Limited. The three biggest processing factories owned by foreign companies ADM/Olam, Barry Callebaut and Cargill control 47% of the market. The government owned Cocoa Processing Company controls another 17% of the entire capacity. The rest is divided between local players. Overall, cocoa processing factories in Ghana employ over 1,293 workers. Exports of cocoa products by eight (8) cocoa processing factories during the 2013/2014 year comprised 111,289 tonnes of cocoa liquor, 35,195 tonnes of cocoa butter, 18,278 tonnes of cocoa cake and 26,991 tonnes of cocoa powder. These products were valued at GH¢892,006,570 (US$ 278,752,053), GH¢539,354,360 (US$168,548,238), GH¢78,401,220 (US$24,500,381) and GH¢152,126,200 (US$47,539,438) respectively - (the dollar equivalents are based on exchange rates at that time). On a weighted average price basis, intermediate processed outputs earn a relatively stable premium of approximately 200%–220% over the price of raw cocoa beans, However, cocoa paste and cocoa butter are not in the categories of high value-added products such as chocolates, sweets, beverages and cocoa-based cosmetics and the challenge for Ghana remains, how it can break into these high value-added products. As African markets and industry analysts, we differ from the international view or perception that Africa has no tradition of consuming products made from cocoa due to the relatively high price for chocolate products, hence the low local consumption. According to Nestle West Africa’s 2015 Annual report, consumption of beverages, which includes mainly cocoa brands like MILO and CHOCOMILO as well as NIDO, Nescafe and Nestle Pure Life produced an estimated annual revenues of US$ 306 million (60.9 billion Naira) in Nigeria alone. In emerging markets like Africa, consumers prefer chocolate in the form of drinks/beverages, and cocoa drinks like Nestle’s MILO have a very huge market share in Africa which they have monopolized for decades. With innovation, Africa and therefore Ghana has a huge untapped cocoa beverage and chocolate market. According to data from ICCO (International Cocoa Organization), world cocoa demand continues to grow around 2-4 percent per year. Hardman Agribusiness estimates that the global cocoa derived consumer goods sector has a brand value of some US$ 300 billion, equal to 0.41% of global GDP. A review of the spread of this wealth effect suggests that there is scope for further significant growth in brand value, especially in the big emerging market economies. The global chocolate confectionery sector is also estimated to generate annual revenues in excess of US$ 100 billion annually. On the demand side, the ICCO notes that since the start of the 2016/2017 cocoa season, while prices of cocoa butter have been gradually declining, those for cocoa powder have remained steady, despite the contraction of the bean price. The demand for chocolate also continues to vary regionally. Presently, Europe and North America are still dominating cocoa consumption. Most important countries are the United States, Germany and France, importing respectively 18%, 8.4% and 5.5% of the world harvest. Even if the appetite for chocolate in China and India grew as fast as some experts predict it will, these countries would take many years to increase cocoa demand to the level of the market in Germany with its consumption of approximately 350,000 metric tonnes per year. However, countries in Central and Latin America also have a long tradition of consuming cocoa products. This tradition combined with rising incomes has led to an increase in chocolate consumption. The biggest market by far is Brazil which nowadays imports small amounts of cocoa in addition to its own production to satisfy local demand. According to statistics of the International Cocoa Organization, Brazil is the sixth biggest market for cocoa consumption. Switzerland is the top consumer per capita of chocolate, followed by Germany, Austria, Ireland and the United Kingdom. In 2011, China was the 9th largest importer of cocoa paste and cocoa powder, up from 12th and 15th position respectively in 2008. It is predicted that China will become the 2nd largest market after the U.S.A. in 2017. In 2011/2012, China consumed, significantly less per capita than the global average – 0.04 kg in bean equivalent, as compared to the global average of 0.62 kg. India is also a very strong and growing market, slated to become the 2nd largest market for cocoa ingredients in the Asia Pacific region after China. While Western Europe and North America have very high per capita consumption levels of chocolate. Per capita consumption is on the rise in Eastern Europe and Russia as well; however, the current preference is for well-known, western confectionery brands. In the U.S., which is the world largest chocolate market, retail sales of chocolate candy have seen little growth in the last two years. Sales by volume increased by 0.6% in 2016 while sales by value were up 0.7% to US$ 13.7 billion in the year up to December 25 2016, according to data from Chicago-based market research firm IRI. In China, retail volumes of chocolate likely fell 4% to 122,000 tonnes in 2016, as noted by Euromonitor. On January 25 2017, the largest global cocoa processor, Barry Callebaut AG said its overall sales volumes were flat in its fiscal first quarter although revenue rose 4.2% on the year as higher-margin products. According to data from Euromonitor, the sales of chocolate globally reached US$ 98.2 billion in 2016, the highest on record even as volume slid by 0.2% from year earlier to 6.87 million tonnes. Euromonitor also projects that by 2021, chocolate sales is expected to rise to 7.33 million tonnes fetching US$ 110 billion. The quality of the raw material is one of the major determinants of Ghana’s competitive advantage in cocoa. Ghana is renowned for producing the best quality cocoa in the world, and its entire marketing system, including stringent quality controls, is geared towards maintaining this quality. Companies from the cocoa and chocolate sector usually accept the strong regulatory influence of the Ghanaian government on the market. This is partly due to the fact that Ghanaian cocoa is still known for its high quality for standard cocoa, while cocoa quality in neighboring Cote d’Ivoire decreased after liberalization since companies used to mix higher quality beans with lower qualities from other regions to achieve the flavour needed for standard chocolate. For a long time, Ghanaian cocoa was traded with a premium of 7 to 10 percent above the average world market price. Additionally, trading partners know that they can rely on delivery contracts with the COCOBOD. The cocoa value chain has the best potential investment opportunity for the economic development of Ghana based on the facts that Ghana has a clear competitive advantage in cocoa production (second largest producer in the world), cocoa makes up a larger production supply than all other crops in the country while the sector also receives unflinching government support. Ghana is missing the key to establish a successful cocoa chocolate and beverage local market across sub-Saharan Africa. Cocoa products and chocolate are not part of the local diet in Ghana, currently Ghana’s per capita chocolate consumption is estimated at just over 0.5kg per annum; this therefore represents a huge untapped chocolate market in Ghana which processors could take advantage by expanding processing beyond intermediate products. Despite the limited consumption of chocolates and cocoa products in Africa, there is great potential for cocoa beverages and chocolate products looking at Africa’s increasing middle class. In its bid to attract investors into Ghana’s cocoa processing sector, the COCOBOD sells beans from the light crop with a 20% discount. Companies which therefore process cocoa in Ghana can buy cocoa beans from the light crop with a 20% discount, hence increasing their profit margins. The Government of Ghana in a meeting with the top cocoa processors in Ghana on May 5 2017 announced its commitment to reducing prices for the cocoa beans it sells to local grinders in a bid to boost processing volumes and create more employment. According to the Chairman of COCOBOD, Ghana’s cocoa regulator was going to carry out a cost-benefit analysis and consider some discount so the processors can buy the main crop to ensure that they process at full capacity, which will help create more jobs for the youth. Many of the processing factories in Ghana operate in export free zones (EFZ) and enjoy massive tax exemptions or reductions. The low tax income from cocoa processing in Ghana is a huge incentive enjoyed by most cocoa processing companies active on the market in the export free zones enclaves. · Relief from double taxation for foreign investors and employees where Ghana has a double taxation agreement with the country of the investors or employees. · Cocoa processors in the free zones are also guaranteed against nationalization and expropriation. In summary, local processing is encouraged by the Government of Ghana through incentives such as price discounts, extended credit for payment, permission to import essential machinery, conferment of Export Processing Zone status on companies operating in the zone, inter alia, for example, COCOBOD (the government’s cocoa regulating body) discounts beans from the minor light crop season, which runs from May to September, to local processors. 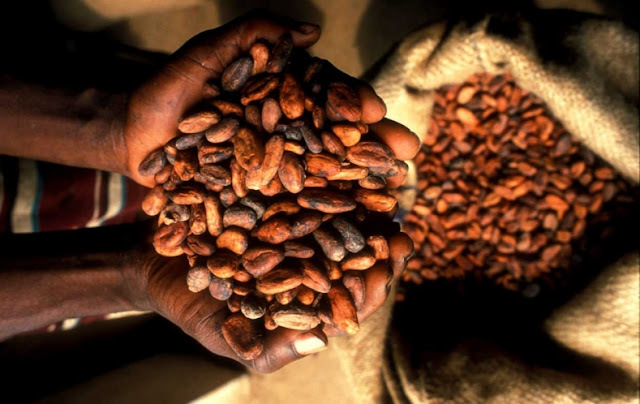 The Government of Ghana’s vision is to enable private companies to position themselves profitably in adding value to raw cocoa beans before export against the fluctuating world market prices of cocoa, and more importantly to enhance the revenue generation potential of the cocoa sector in general. Newcomers in Ghana’s cocoa processing industry like Niche Cocoa, which is a locally owned company started operations in May 2011 as a Small and Medium-scale Enterprise (SME) with 100 workers and an installed cocoa processing capacity of 30,000 metric tonnes per annum. Within a span of 6 years Niche Cocoa has managed to double its capacity to 60,000 metric tonnes per annum. It has also boosted its workforce to 250. Niche Cocoa which also operates in Ghana’s Free Zones enclaves enjoys all the allocated tax exemptions. French multinational cocoa processing company, Touton Group in 2015 announced its acquisition of the 24,000 metric tonnes capacity Commodities Processing Industries (CPI) in Ghana’s Free Zones enclave for US$ 18 million. In 2016, a year after its acquisition, Touton Ghana increased production capacity by 25% to 30,000 tonnes and plans to increase production capacity by 125% to 60,000 tonnes within 5 years. Touton and other major cocoa processing companies were attracted to the Ghanaian market because of the benefits from Ghana’s export free zone (EFZ) advantages as well as the discount that COCOBOD gives on light crop beans. In July 2016, the Cocoa Processing Company which is state owned also received a major boost following the successful signing of a new agreement with the French company, Touton Ghana. The agreement allows the state-owned company to process 25,000 tonnes of cocoa beans per annum for the latter in return for payment. When setting up a cocoa processing factory, processors need to take into account the cost of transporting raw materials and components from suppliers as well as shipping or distributing cocoa products. Transport costs and time constraints make it logical to produce close to the source of raw material and also, after raw beans are processed, nearness to the Port of Tema helps to cut down transport and shipping cost. Since the free zones enclave is located in Ghana’s port city of Tema, this therefore allows easy access for the purchasing of cocoa beans from COCOBOD’s warehouse in which is also located in Tema, hence cutting down transportation cost for processors when buying cocoa beans to be processed. The location of cocoa processing factories in the Tema free zones enclave also gives processors easy access to the port when cocoa products are to be shipped, this also reduces overall shipping cost with regards to transporting products from factory to the Tema Harbour. In order to assure cocoa processors of the government’s further commitment to the private sector with its policy to increase local processing, COCOBOD took positive steps to liberalize the cocoa processing agribusiness. The largest locally owned processing company in the country is the Cocoa Processing Company (which was state-owned). The Government of Ghana sold a 25% stake in the company via the stock exchange in Accra. The Government of Ghana then further reiterated after this sale that competition is important and especially the opportunity for Small and Medium-scale Enterprises to succeed and contribute to Ghana’s economic development. Before the 2012 cocoa reforms, cocoa processors in Ivory Coast under the Droit Unique de Sortie (DUS) system had to pay taxes on the weight of exported products rather than on the weight of raw beans utilized to create the products. This was a tax break incentive which allowed cocoa processors to pay less taxes on their products when exporting. However as part of reforms in 2012, Ivory Coast abolished this 20-year-old tax break for cocoa processors, allowing grinders to instead pay taxes on the weight of raw beans they used for processing, while giving them no added incentives on cocoa purchasing. This put grinders at a disadvantage since they now had to pay the same taxes as exporters of raw beans. Unlike exporters of raw beans who are able to sell their cocoa with relatively low infrastructure costs, the Oxford Business Group notes that, grinders lose an estimated 23% of their beans during processing while having to pay for expensive machinery, hence putting grinders at a huge disadvantage than exporters of raw cocoa beans. Cocoa processing companies in Ivory Coast are therefore not willing to expand their capacities since they believe it is not economically viable without the initial tax break incentives. Condicaf, which has an offtaker agreement with Transmar, was not grinding at full capacity due to high costs. In 2015, amid complaints from local processors, the government of Ivory Coast then allocated cocoa processors half of 2015's April-to-September mid-crop and launched efforts to negotiate new tax breaks to take effect in the 2015/2016 season. In an attempt to appease grinders and reduce taxes, the government of Ivory Coast decided to levy a 14.6% tax on bean exports, 13.2% on cocoa liquor (cocoa mass), 11% on cocoa butter and cake, and 9.6% on powder. These new government tax breaks does not in any way favour new companies who are about or planning to establish cocoa processing factories in Ivory Coast since the already existing processors who have operated before the 2012 cocoa reforms were implemented had enjoyed higher profits from massive tax cuts for their operations hence putting new processors and especially Small to Medium-scale processors at a disadvantage. Also, new processors will also be at a huge disadvantage since the new tax breaks states that in order for one to benefit from it, you must already have a factory or plant and that if a processor’s capacity was less than 50,000 tonnes per year you must increase your capacity over 5 years by 15% per year. If it was above 50,000 tonnes, capacity must increase by 10%, and above 100,000 tonnes, capacity must be increased by 7.5%. While this benefits those who are already in the field and already processing cocoa in Ivory Coast; since it gives them an incentive to increase their capacity. For newcomers who are about to enter the cocoa processing sector in Ivory Coast, they would be at a disadvantage since these conditions would not allow their business to be viable. Cocoa processing in Ivory Coast therefore does not favour new processors but tends to favour already existing processors who have very large processing capacities. Hence rendering the industry less attractive to new investors as well as small to medium scale cocoa processors. Ratings agency, Moody’s enunciates that the impact of the 2017 cocoa price falls on Ivory Coast’s current account balance will be more significant for the country than Ghana since the economy of Ivory Coast is much dependent on cocoa as compared to Ghana. For instance, cocoa exports accounted for around 43% of Ivory Coast’s total merchandise exports in 2015, compared to just 24% in Ghana. The impact of cocoa price declines on Ivory Coast’s economy has been much evident in recent times when the country was forced to cut planned spending for 2017 by 10% due to a sharp drop in world prices of cocoa, this shows how the economy of Ivory Coast is exposed to cocoa price vulnerabilities and shocks. Ivory Coast’s problem of cocoa price volatility places a lot of uncertainties on the county’s economy, since pricing hikes are influenced by international factors. Ghana’s economy on the other hand is not induced with economic instability when cocoa prices decline on the international market since the country’s economy is much diversified and not solely dependent on cocoa revenues. Moody’s indicates that Ghana’s higher GDP growth supported by new oil and gas field developments is bound to cushion any impact from cocoa price decline (worldwide) on its credit profile, hence cocoa price cuts is likely to have a milder impact on Ghana’s economy as compared to Ivory Coast. Ivory Coast has recently enjoyed relative stability and rapid economic growth, but the scars left by a decade of intermittent civil war, which ended in 2011, are still evident. In the most recent unrest, 3,000 people died in violence after longtime president Laurent Gbagbo lost the 2010 presidential election and then refused to cede power to victor Alassane Ouattara. After a military intervention, Ouattara became president and Gbagbo now faces charges at the international criminal court. Ouattara has received credit for overseeing Ivory Coast’s resurgence, but has struggled to reform an army long riddled with ethnic and political divisions. Though Ivory Coast has emerged from a 2002-2011 political crisis, most soldiers, mostly former rebels, seized control of the country's second biggest city, Bouake in 2016, sparking a series of smaller mutinies across the country and exposing cracks in its post-war success story. The state agreed in January 2017 to pay almost US$ 20,000 each to some soldiers to quell a mutiny over unpaid bonuses and better living conditions. Our analysis points to the fact that, for a group of rebels to be able to seize the second largest city in Ivory Coast shows that this unrest could be far from over since it has exposed some vulnerabilities in Ivory Coast’s military, intelligence and security systems. These vulnerabilities could be further exploited or be sparked again by other rebel groups or individuals who also feel sidelined for political or ethnic reasons. The recent revolt by rebels in Ivory Coast has strongly impacted investor confidence and caused many investors to hold off on planned investments, according to Reuters, most cocoa investors are waiting after 2020 before they invest in their factories since they believe the crisis is not over. This could further undermine the economic recovery process of Ivory Coast. Ghana on the other hand has enjoyed a stable and peaceful political regime. Since the restoration of civilian rule in 1992, Ghana has become a vibrant democracy, witnessing three changes of power between the two major political parties through elections in 2000, 2008 and 2016, both at parliamentary and presidential level. The December 2016 general elections in Ghana were peaceful and free, with victory to the opposition for both the presidency and the parliament. This has further strengthened Ghana's reputation as Africa's most stable democracy. Aside economic success, the political stability in Ghana is seen as a major tool that has enabled majority of multinationals in Ghana to grow and expand their businesses from Ghana into other regions in Africa, being the fact that political maturity, good governance system and peaceful co-existence are elements that boost investor confidence in a country. The main challenge in the cocoa processing sector is dealing with the threats in the external environment to ensure competitiveness. For example, Ghana’s Cocoa Processing Company (CPC) suffered setbacks in 2011 due to the financial crisis in the European countries where its exports are traded. The average price obtained for cocoa butter during the year was US$3050 per tonne as against an average price of US$5800 per tonne in 2010. As a result of the marketing challenges and some internal operational difficulties, CPC was only able to process a total of 16,952.723 metric tonnes in 2011 as against 21,554.960 metric tonnes in 2010 leading to a 21.4% decrease in the processed output of the company. Exchange rate risk can also reduce the rate of return if the Cedi appreciates, such an economic downturn may force the processing plant to lower production in response to lower demand. On the whole, marketing is a major challenge for Ghana as it increases its value addition and the overall strategy should be to widen market access to go beyond Europe and America. The major challenge facing the processing companies suggests that there should be greater linkages among them to enable joint strategizing. Moreover, although the processing companies relate strongly with the COCOBOD and other regulatory bodies such as the Food and Drugs Authority and the Ghana Standards Authority; as they are required to do by the state regulations, their linkage with scientific institutions are not that strong. It is a weakness which does not facilitate innovation in the sector. There are several risks related to cocoa processing in Ghana that investors must further consider and try to mitigate. First, while cocoa bean prices are fixed, fuel prices can fluctuate and have a negative effect on the costs of production. Machinery can also become disrupted or malfunction, thus creating huge opportunity costs in terms of missed production and considerable costs to fix. Unreliable electricity supply in Ghana can also disrupt processing activities. There are technological developments that continue to justify sustained R&D and innovation in Ghana and other producer countries. The development of Cocoa Butter Equivalents (CBE) from other sources than cocoa e.g. palm oil, shea and mango kernels, is threatening to reduce the quantities of cocoa used in chocolates and other products. The E.U. has approved up to 5% use of CBE in chocolates and this is estimated to reduce total demand by some 200,000 tonnes. The 13-member Cocoa Producers Alliance has opposed the approval of CBEs. However, the opposition has been sidelined and the approval came into law in 2000. The option left for cocoa producing countries is to increase production to make it less cost-effective for chocolate producers to use CBEs. This implies greater application of science and technology in the production of the cocoa bean, a more diversified use of cocoa to increase demand and a vigorous increase in home consumption of cocoa. Recent studies show that, as a result of the bad income situation of farmers, child labour on West African cocoa farms/plantations is still a widespread problem. Many cocoa producing families use children to cover their need for labour on the farms to an extent that violates national laws and international child rights conventions. Nestle Ghana for instance has strict regulations to monitor and track the sources of all their cocoa purchases in order to verify that they don’t buy their raw cocoa beans from farmers who engage in the use of child labour on their cocoa farms. From an ecological perspective, the depletion of soils is a serious threat to farmers. In the past, farmers moved on to clear virgin forests once soils depleted. Nowadays, unsustainable production methods lead to the depletion of soils but farmers cannot move from depleted fields. Hardly, any forests are left and in many countries legislation on deforestation has been enforced. The impact of climate change is tangible in West and Central Africa and will become more severe. More recently, reports for heat and humidity continues to threaten the quality of beans in Ivory Coast according to Reuters. Regarding cocoa production, this implies a reduction from suitable areas. INCREASING TARIFFS FOR INTERMEDIATE COCOA PRODUCTS IMPORTED TO THE E.U. Freight costs for many processed commodities such as cocoa powder and butter generally face higher than those on primary unprocessed components such as cocoa beans. High tariff walls to the export of processed products. E.g. E.U. levies no duties on the import of raw cocoa beans, but levies a 7.7% and 15% ad valorem duty on cocoa powder and cocoa cake, respectively. It is important to note that high import tariffs imposed by the E.U. and other players in the industry is a significant role in keeping African countries focused on exporting raw beans rather than processing. Almost all of the processing companies opened their factories with the understanding that COCOBOD would supply them with the beans from the light crop to feed their factories. Ghana's light crop average 50,000 to about 200,000 tonnes compared with installed local processing capacity of over 400,000 tonnes. The light crop output has dwindled while processing capacity has increased, leaving grinders either to pay more for main crop beans, or leave capacity idle. In 2015 total installed capacity for all processing factories in Ghana was 431,000 tonnes out of which only 229,693 tonnes was being utilized, meaning, cocoa processing factories in Ghana altogether utilized only 53% of the country’s total installed capacity. In years with the low light crop like in 2015/2016, local processors had problems to get hold of enough beans. Ghanaian processors had to import 5,500 tonnes of light crop cocoa beans from Ivory Coast in 2015/2016 and therefore had to reduce the capacity of their factories as not enough light crop beans were available. Though COCOBOD has assured processors of its commitment to providing discounts on main crop beans, possessors still purchase main crop beans at the international market price, which according to them discourages local processing. The Ghanaian cocoa processing industry is highly automated, employing only a little above 1,293 workers across processing firms. This is much lower on a per-firm basis than the level of employment in the late 2000s, when two cocoa processing companies employed 884 workers. Employment in the industry has thus fallen from 442 workers per factory in the 2000s to about 117 per factory today. The limited job creation in the cocoa processing sector has been one of the main arguments put forth by COCOBOD against giving any further discount on the cocoa beans it sells to local processors, especially those produced during the main season. Technical assistance: Social impact investors are able to use a relationship-based approach, with more intensive due diligence, in order to encourage investment officers to become familiar with the unique aspects of the business, and allow them to build in flexibility and enhance repayment. Piecemeal growth: The processing plant needs to focus on providing one product at scale to one market (cocoa butter and liquor to the export market) so investment management processes can be standardized, which lowers costs and improves scalability. Focus on fixed and movable asset investment: Investment needs to focus on processing equipment, which provides an effective collateral substitute. However as mentioned earlier, the Government of Ghana automatically provides some payments to companies that operate in the export promotion zone for exchange rate risk. Ghana is the world's second largest producer of cocoa—the main ingredient for chocolate—and has great potential to add value to its raw cocoa exports. The cocoa industry (beyond raw beans) therefore offers opportunities to increase export earnings through increased processing of intermediate and finished products. Less than 25% of cocoa beans are processed locally, allowing Ghana to capture only about 5% of the US$28 billion of the global intermediate cocoa processing industry. Given that Ghanaian cocoa is regarded to be of the highest quality and trades at a higher price than cocoa from other origins, the industry can benefit immensely from value addition through increased investments and innovations. Asante-Poku A., Angelucci F., 2013. Analysis of incentives and disincentives for cocoa in Ghana. Technical notes series, MAFAP, FAO, Rome. Asselstine, M., Mollo, M.J., Morales, M.J., & Papanikolopoulos, V., 2016, Cocoa Liquor, Butter, & Powder Production. Senior Design Reports (CBE), Department of Chemical & Biomolecular Engineering, University of Pennsylvania. Essegbey, O., G & Ofori-Gyamfi, E., 2012, Ghana Cocoa Industry—An Analysis from the Innovation System Perspective, Technology and Investment, 2012, 3, 276-286. Ghana Cocoa Board, 2014, 45th Annual Report, viewed on 19 April 2017, Cocobod: Accra. International Cocoa Organization, 2016, Grindings of cocoa beans, Quarterly Bulletin of Cocoa Statistics. Vol. XLIII, No. 1, Cocoa year 2016/17. ICCO: Abidjan. International Cocoa Organization, 2017, Cocoa market review, ICCO: Abidjan. Isma-il Sulaiman and Bernard Boachie-Danquah are the Founding Partners of Goodman AMC, and are both renowned strategy consultants with extensive experience on the African market.